That was the difficult question posed by a recent piece in the New York Times Magazine, which told the story of Peyton Forest Elementary in Atlanta, and its principal, Cynthia Gunner. The overall message was that leaders, like Ms. Gunner, are often held accountable for student achievement, and while they have a will and deep desire to meet these goals, they are often left stranded on an island without support or true authority to assemble the talented team needed to guide all students to achieve their potential. The answer to the titular question remained ambiguous. As leaders of two organizations working in North Texas focused on developing educators to be their very best and ensuring all students have access to great teachers and schools, we wanted to weigh in. We are witnessing dramatic progress in student achievement in Dallas ISD, and the district-wide focus on school leadership is a large contributor to that success. People grow, evolve, develop, improve every day - it’s one of the most beautiful aspects of being human. But, it requires a lot. Not just from the leaders and teachers working in schools every day, but also from the system. Great teaching blossoms when courageous principals with a keen, unapologetic eye for excellent instruction provide teachers with support and direct, frequent feedback on their instruction. Great teaching grows when a system clearly defines what students should be learning, reading, solving for to be college ready and clearly defines the kind of instruction that gets students there. Great teaching thrives when district and school leadership cultivate a reflective, growth-oriented approach to teacher support and development - providing meaningful opportunities to learn, grow, and get better. Districts looking to drive transformational change in urban school systems should not only rely on finding a few superhuman school leaders.It is critical they build the capacity not only of these school leaders but their teams as well, by providing high quality learning and development opportunities that prepares them for leadership roles. Further, districts that clearly define excellence and align expectations, systems, and tools to this vision -- and then implement them with excellence -- see achievement growth begin to take off. This has been the inspiring story of Dallas ISD. Dallas ISD leadership, particularly Superintendent Hinojosa, Stephanie Elizalde, and Jolee Healey should be applauded - not just for the gains they have driven in student performance, but more importantly for how they have led this transformation. Through a disciplined, focused investment in systems and practices that are all grounded in developing and leveraging great talent, they have built a solid foundation upon which sustained progress and accelerated performance are far more likely. That is the key: people-centered design has acted as the common thread that is advancing the capacity of educators and leaders at every level within and across schools.This kind of investment has seen encouraging returns, with Dallas ISD outpacing its urban school district peers in terms of growth, making it one of the most rapidly improving urban districts in the country. This is a success story that deserves more positive attention. In Dallas ISD, there are several key elements that are helping more and more Dallas ISD school leaders be their very best for their staff, students and parents. First, there's a rigorous performance system, the Teacher and Principal Excellence Initiative (TEI and PEI) that looks at several, critical areas of an educator’s practice. For example, teachers receive points for student achievement growth, the perception of students, and the strength of their instruction. The observation rubric, which makes up most of a teacher's evaluation, is used by school leaders to help diagnose strengths and areas for development relative to this bar. Principals are expected to observe teachers regularly, not only as part of the evaluation cycle, but also to ensure teachers are getting real-time feedback to improve. Teachers find great value in receiving this kind of professional development. In fact, teacher satisfaction with their school increases by 60% if they are provided with differentiated, effective development. And, satisfaction increases with teaching overall when teachers receive this kind of support, which improves instruction in the short-term and retention of teachers in the long-term. TEI identifies the best teachers and then pays them more. This understanding enables the district to keep its best, support and grow others, and part ways with a smaller number who are not meeting expectations. At the beginning of the 2017-2018 school year, 90% of proficient or better teachers returned to their classrooms, and 95%+ of the three highest ratings returned to their classroom; both of which far exceed state retention averages of 84%. With this wealth of knowledge, we not only retain more of our master educators, but deploy them to campuses that need them the most. This the strategy behind the district’s Accelerating Campus Excellence (ACE) initiative. Rusk Middle School, a historically underperforming school in Dallas enrolling students predominantly from economically disadvantaged backgrounds, is an example of the power that can be unleashed when everyone is focused on excellent instruction and a community-driven set of wraparound services are provided for students. As an ACE campus, Rusk students received a new principal who hand-selected a new teaching team, most of them with a strong track record of success. In just one academic year, the students of Rusk Middle School experienced dramatic (double-digit) growth across every subject and grade, including an astounding 31.7% increase in the number of 8th grade students scoring proficient in math. These are the results that are possible when school systems share a belief in and commitment to all students achieving at a high level no matter socioeconomic status, race or language spoken at home. Outside factors that influence student learning and are outside of the school's control, like educational background of parents, are often cited as challenging hurdles faced by schools. These factors matter -- and point to one reason why it’s important for schools to have access to community partners that can provide additional supports to meet the needs of each student. That’s why, if we look at the power of teachers working under an exceptional leader who is provided the resources needed to fully support students (like social-emotional learning, trauma support, counseling, even washers and dryers) we see great gains. And, when this happens within a supportive district with great principal managers and the willingness to provide extra resources to the kids with the greatest needs, we see the odds change. Dramatically and consistently. To answer the question directly, yes, good teaching can be taught. But, the bigger question on our minds is: Are we willing, as a system, as tax-payers and as parents and as educators, to invest in education as if our future depends on it? Are we willing to pay teachers and leaders based on the impact they are making, and pay them enough that they don’t have to work multiple jobs just to make ends meet? Are we willing to meaningfully invest in the people doing the most important work? Because our kids are showing us they are fully capable of greatness when the adults in their lives do their part. Dottie Smith leads the Best in Class Coalition, a local initiative focused on increasing access to well-prepared, effective, diverse educators so that a greater proportion of our region’s students can be on track for college and career success. A unique partnership between Communities Foundation of Texas and The Commit Partnership, Best in Class has over 50 educational entities committed to this goal, focusing the groups efforts on four strategic parts of an educator’s pathway: attract, prepare, develop, and retain. Patrick Haugh is the Chief Executive Officer at Teaching Trust, a school leadership development organization preparing educators to lead the change needed for the academic success and equity of all students. 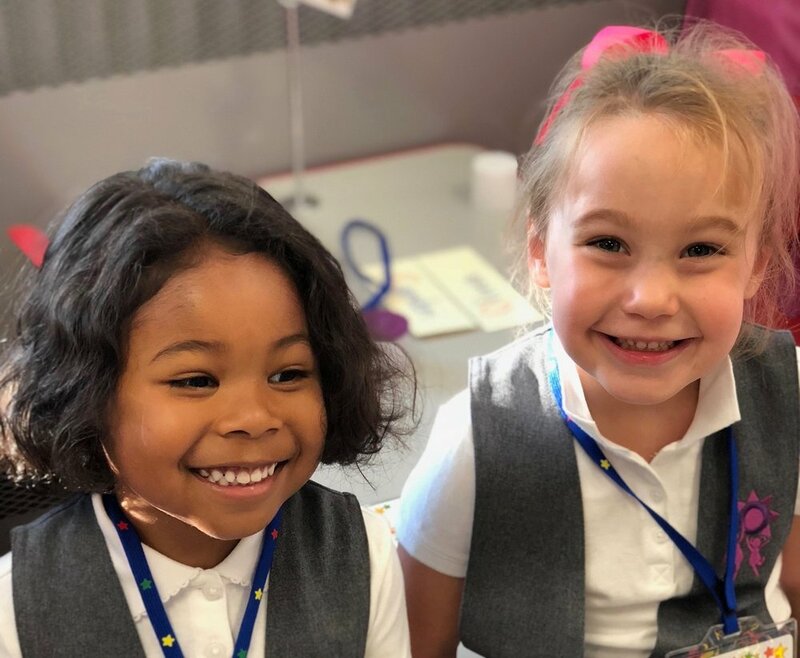 Founded in 2010 with a small program of fewer than 20 educators, Teaching Trust’s community of program participants and alumni across Dallas and Tarrant Counties has grown to 900 educators in 150+ schools serving 80,000 students for the 2018-2019 year. This was the enthusiastic chant my daughter passionately greeted me with tonight, at the conclusion of her first day of “big-kid” school at SOLAR Preparatory School for Girls, a public elementary school in North Dallas. Morning dropoff checked some of the familiar boxes: anxious butterflies about new surroundings and unfamiliar faces, excited school staff double-checking rosters and classrooms to make sure students and parents were accurately directed, and tearful hugs from emotional parents as their children embarked on this new school year. What wasn’t expected -- and is something for which I am so grateful -- was the feeling of confidence I had dropping Birdie off at a school led by a true TEAM of leaders, many of whom are Teaching Trust alumni. It is clear that the team at SOLAR is on to something. The data backs this up, as does the vital, dynamic school culture that emphasizes high expectations and performance-based learning. As the parent to two young children, I am privileged and fortunate to live in a city that is investing in leadership and empowering great teams to develop and operate schools that are creating life-changing educational opportunities for kids. I also know many students are waking up every day and going to schools in the DFW region that are not yet prepared to serve them well. At Teaching Trust, we are part of a community of educators and advocates working to change the reality. Teaching Trust leaders are a testament to the power of what schools can become when strong teams of leaders are maintained as a core priority in elementary and secondary education. We extend our gratitude to our leaders for the incredible effort they put into the schools in which they work on a daily basis. Their work, individually and collectively, has had a profound and growing impact on more than 80,000 students in over 150 schools in the DFW region. Something very exciting is brewing in schools across North TX. And on this first day of the school year, I couldn’t be more excited about the impact that leaders and teams across the region are having on students – thus bolstering my conviction about what matters most to significant, sustained improvement: great leaders leading great teams, and great teams leading to great schools. This is why TT exists. This is why we do this work. What are you excited about this school year? Find us on Twitter and join the conversation by using #backtoschoolDFW. This year, Teaching Trust is working with over 750 educators across 140+ schools through intensive professional development, coaching, and support. We are proud to have expanded the reach of our Leadership Teams program to Fort Worth through a partnership with the Fort Worth ISD, TEA, & ESC Region 11. This year, for the first time 14 campuses and 4 principal supervisors are experiencing this program in Fort Worth. In September, we welcomed national education leader Paul Bambrick-Santoyo back to Dallas for two days of professional learning and development. During day one, principal supervisors joined Paul Bambrick-Santoyo to learn and practice strategies to support the instructional growth of school leaders, bolster instructional practices across their portfolio of schools, and ensure students are learning to their greatest potential. The following day, campus teams engaged in intensive training focused on leading effective weekly data meetings, in which participants practiced planning and leading meetings that leverage assessment data to maximize student achievement. D3 - Deconstruct, Design, Deliver: Math Systems for Student Achievement - Attendees learned to design and implement effective math instruction aimed at developing student fluency and number sense, helping students to articulate their math knowledge, and building student ownership over math growth. Readers for Life: Developing and Executing a Vision for Excellent Reading Instruction - Campus teams created a vision for excellent literacy instruction that fosters a love of reading and actively engages students in rigorous reading and literary discourse. Guided Reading: Building Foundations in K-2 Literacy - Educators developed skills to improve the quality of K-2 literacy instruction across their campuses. We look forward to continuing to provide opportunities for educators across Dallas-Fort Worth to experience high-quality professional development and hope to see you at the Third Annual Leading to Impact Summit on February 3! Three of the six Dallas ISD Principal of the Year finalists and both the Elementary and Secondary Principal of the Year winners are Teaching Trust trained leaders. We are proud to recognize Lourdes Garduño (Winnetka Elementary School), Laura Garza (Annie Webb Blanton Elementary School), and Danielle Petters (H. Grady Spruce High School) for all they do each day to build great schools for their students and for our community. Each year, the award is presented to one elementary and one secondary principal who have distinguished themselves by providing high-quality learning opportunities for students as well as demonstrating exemplary contributions to their profession. Congratulations to the Elementary Principal of the Year, Laura Garza, and the Secondary Principal of the Year, Danielle Petters! We are proud of the more than 750 dynamic educators within our community of educators who are making a positive impact in schools across Dallas-Fort Worth. We know there are countless ways our leaders are being recognized formally and informally and look forward to celebrating those milestones together. If you have exciting news to share, please reach out to admin@teachingtrust.org. At Teaching Trust, we believe that great leaders transform schools. We also know that a single leader cannot transform a school alone. It takes a team to achieve significant, sustained improvement for students. Throughout the past year, our organization has engaged in a strategic planning effort to ensure that we are maximizing our impact on school leaders, leadership teams, and students across North Texas. As a result of these efforts, we are excited to announce that we are evolving our programmatic approach for the 2018-19 school year – moving from standalone programs across a broad array of schools to more integrated programming across a more focused set of schools. Teaching Trust is engaged in discussions with district partners to continue the Leadership Teams Program in school year 2018-19. In partnership with Southern Methodist University, Teaching Trust is actively recruiting a new cohort of future school leaders for the Aspiring Leaders Program. Please visit the Aspiring Leaders section of our website to learn more. The Ed Fellows Program will be put on hold for the 2018-19 school year while we determine the best approach to integrating Teacher Leader training, development, and support into a more teams-based approach for school transformation. 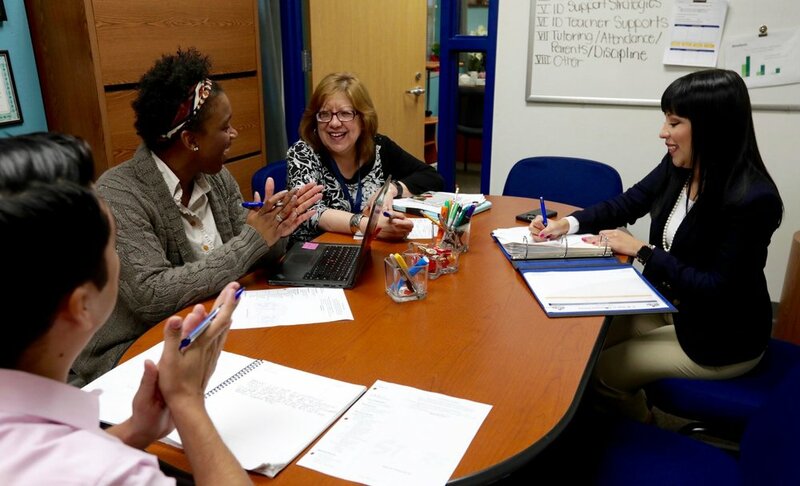 We know that teacher development is vital to a school’s success and we are excited to continue working with teachers as part of the Leadership Teams program. We are exploring opportunities that will allow us to support teachers in the most aligned and impactful ways possible. As such, we will not be recruiting a new class of Ed Fellows for the upcoming school year. Educators interested in teacher leader training are encouraged to work with their campus leaders to determine if the Leadership Teams program is right for their campus. Teachers should also visit the Alumni Network Events section on our website for additional professional development opportunities. We look forward to keeping you informed as we continue to enhance Teaching Trust’s next generation of programming!